PMI North India is a chartered component of PMI, USA and is registered society under Societies Act. It was founded on May 25th 2002, as an autonomous, non-profit, tax-exempted. membership association dedicated to the science of project management. PMI is the worldâ€™s leading not-for-profit membership association for the project management profession, with more than half a million members and credential holders in 185 countries. PMIs worldwide advocacy for project management is supported by its globally-recognized standards and credentials, extensive research program, and professional development opportunities. These products and services are the basis of greater recognition and acceptance of project managementâ€™s successful role in governments, organizations, academia and industries. PMI North India Chapter welcomes fellow project management professionals to join, get involved, and share their experiences at various chapter events conducted from time to time. 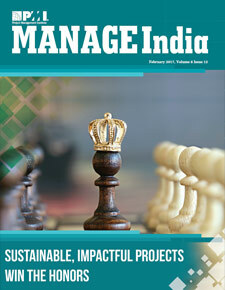 Learn more about PMI and PMI North India Chapter from the information links. What are PMI Core Values? What are PMI Code of Ethics?